Dental Tweezers are used to place small objects like cotton in the mouth and retrieve small objects from the mouth. These tweezers come in various sizes and shapes. 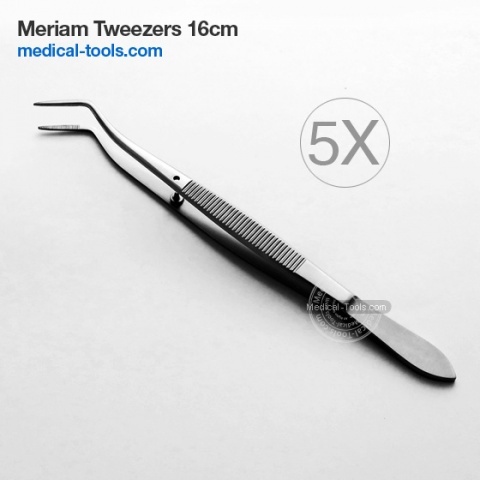 The most commonly used tweezers are College and Meriam Tweezers. Articulating tweezers are used to handle articulating paper. 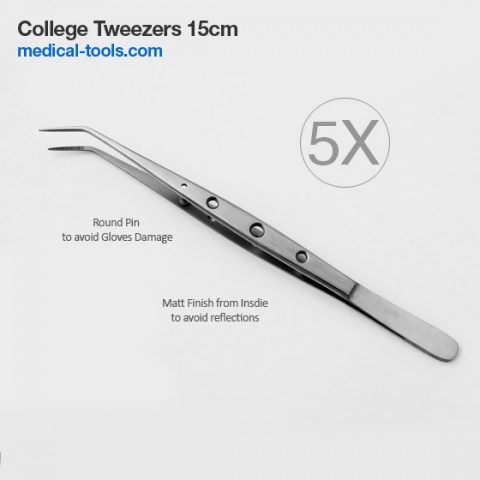 Locking tweezers are also available. The tips can be plain or serrated, in straight, curved or angled working tips.